Volunteers Needed for the 2011 IDBF World Dragon Boat Championships! Hello everyone! Tony here to tell you about a great volunteer opportunity coming up! 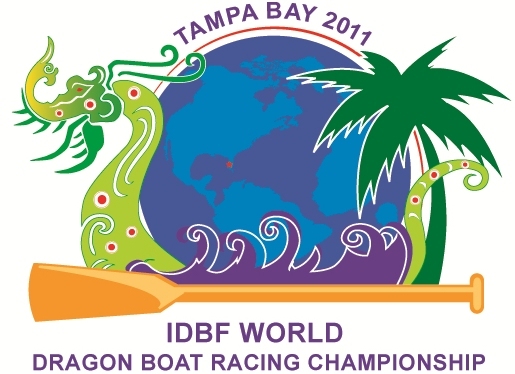 The Tampa Bay area will welcome thousands of visitors from over 30 countries in August 2011 for the IDBF World Dragon Boat Racing Championship and community volunteers are needed. The Tampa Bay Dragon Boat Institute and the Host Committee for the 2011 World Championship are looking for over 500 volunteers to help with this week-long adventure that includes the first Pan American Club Crew Championships from July 30-31 and the 10th IDBF World Dragon Boat Racing Championships from August 2-7. From Hospitality Assistants and Airport Welcome Booth Attendants to Medal Presenters and of course Dragon Boat Tail Holders, there are a variety of positions available, and volunteers can sign up for something different each day. Volunteers will be provided with applicable uniforms, lunch on the days that they are working, and complimentary parking in downtown Tampa. To browse job descriptions, available shifts and to register as an official volunteer, visit www.TampaBayDragonBoats.com. That&apos;s all for now, but stay tuned in for more updates on Tampa Bay Sports and things to do in Tampa Bay!